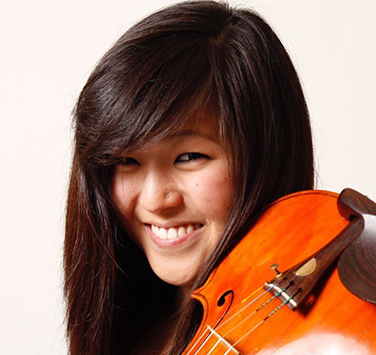 A native of Newmarket, Ontario, Charna Matsushige began studying the violin with Sonia Klimasko at age 6, and by her late teens, continued her studies with David Zafer in Toronto. She has enjoyed playing with the Toronto Symphony Youth Orchestra, the National Youth Orchestra of Canada, the Toronto Concert Orchestra, the National Academy Orchestra, and the Kingston Symphony. An avid chamber musician, Charna has participated in string quartet programs at the Scotia Festival of Music in Halifax and the NYU Steinhardt Intensive String Quartet Workshop in New York City. Charna received her Bachelor of Music in Performance at McGill University’s Schulich School of Music under the tutelage of Mark Fewer. In 2014, she received her Masters of Music from the University of Toronto, studying with Yehonatan Berick. She currently performs with the Niagara Symphony Orchestra and freelances in Toronto and surrounding areas.